I won’t lie to you and tell you it was easy or that it completely changed me (for the better or for the worse). But I will admit it was not as hard as it is purported to be. It also was not as life-changing as it is marketed to be, either. Christopher lost about 10 pounds during the program. I lost fewer than 5 over the 30 days. We both reported better sleep — an easier time falling asleep and staying asleep — although we did not usually wake up feeling as well-rested and restored, probably in part to both of us being sick with a cold at some point in the last two weeks and to dealing with sick toddlers in the last two weeks. We mostly avoided the withdrawal and “carb flu” early in the program — a testament to the quality of our diet and exercise regimen pre-Whole30? — but we never really experienced the “Tiger Blood” that supposedly comes midway through the program. We are most disappointed about that. We both came down with a cold in the last two weeks, though, which probably had a lot to do with lackluster energy. Neither of us really suffered from digestive issues before Whole30. So I don’t know if the emphasis on meat and fat did is to blame, but I suffered from diarrhea (sorry, TMI!) for almost the entire 30 days. I successfully ditched MyFitness Pal. I had been religiously counting calories (and often lying to myself about the amount by conveniently not tracking some foods) for years. I didn’t count a single calories over the 30 days, and I don’t plan to start counting calories again, unless I notice my pants stop fitting properly. It is so liberating to cook and eat without having to log every bite. We did not fully follow reintroduction protocol. At the start, we did; we reintroduced legumes, then waited a day, then reintroduced non-gluten-containing grains, then waited a day. But on Saturday evening, four days after the end of Whole30, we went out and finally indulged. And while we didn’t feel too badly after that, we continued to indulge and imbibe Sunday and by then, we felt crummy. We learned that we simply need to watch it with things like sugar and alcohol. My personal rule going forward is no sweets and treats unless they are homemade or a once-a-year indulgence (i.e. Cadbury Mini Eggs at Easter). I don’t need to waste my time or calories on crappy candy or store-bought cookies. My other rule, which sort of goes along with the limit on sweets and treats, is no refined carbs or sugar, again, unless it is 100 percent worth it. No white flour or sugar, no white pasta or rice. There are much better options out there that make my body feel so much better. Christopher swears he will never do Whole30 again — that the benefits we experienced do not outweigh the effort we put in. And I can’t say I disagree entirely. I would do a Whole30 again, if I felt myself spiraling out of control, but I concede that the ends did not justify the means. We spent a TON of time planning and preparing, and a TON more money grocery shopping and for what, really? Frankly, our wallet really took a hit eating this way, whereas before Whole30, our grocery cart was filled with very little processed or patently unhealthy foods, and our bill was two-thirds the size. The fact of the matter is oatmeal, brown rice, black beans, chickpeas, Greek yogurt, low-fat cheese are a part of a well-balanced diet and do not make us feel crummy; and those foods are just not as expensive as pounds on top of pounds of chicken and beef and pork (and let me tell you, we went through two or three dozen eggs a week!). Overall, I am really glad we did Whole30. We learned a lot about our food, our emotional attachment to food, and how our bodies respond to having (and not having) certain foods. We also learned that we can do something that most people consider damn near impossible for 30 freaking days! That is definitely something to be proud of. Hi! 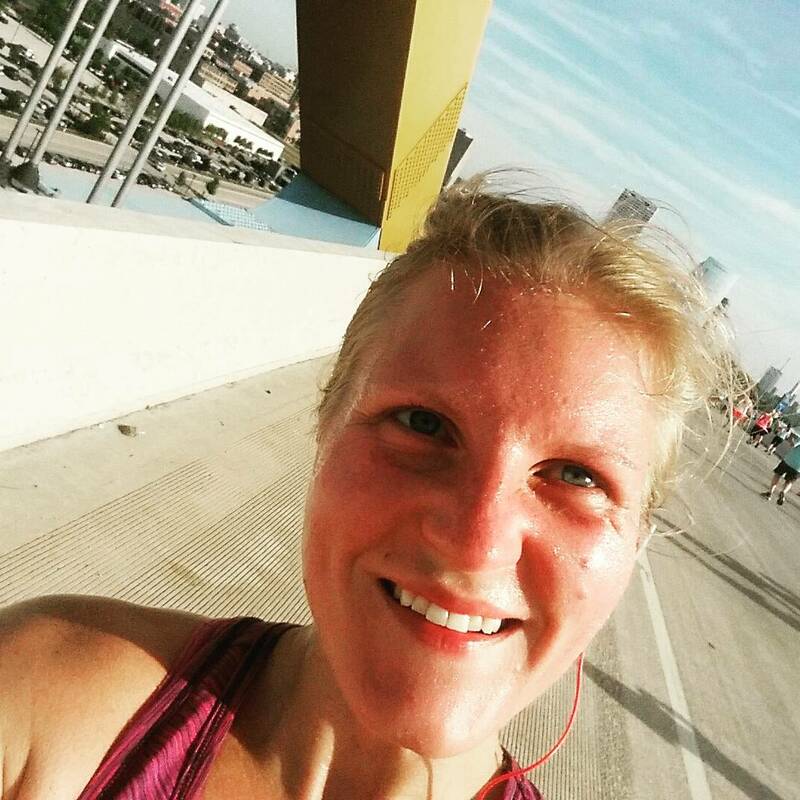 I’m Kayla, a 33-year-old born and bred Midwestern girl–a wife to a wonderful husband and father; a mommy of twin girls; a certified personal trainer and group fitness instructor; a runner, and a foodie. Contact me at kaylabee18 [at] gmail [dot] com.